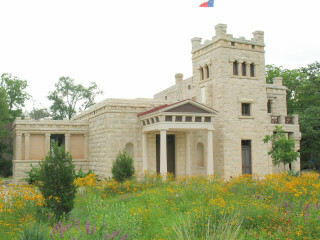 The Elisabet Ney Museum will present the new Fall Family Fun Day, where visitors will have the opportunity to officially welcome Humpty Dumpty to the Ney site. The charming, bobbing, musically-inclined anthropomorphic egg makes for both a gender switch and a colorful addition to the museums west entrance. Visitors will also be able to greet a remarkable replica of Ney’s famed self-portrait, created with 3-D subtractive manufacturing techniques and rendered in materials that will sparkle at night, evoking her penchant for sleeping under the stars. Ney Remixed is also a temporary installation, created by Lisa Woods and Rodolfo Magnus. Both pieces are part of the City of Austin Cultural Arts Division's Art in Public Places TEMPO program, and this is their official opening. There will be refreshments and sculpting activities, storytelling, face painting, and much more.